Plymouth is a jewel among Britian’s cities. Within half an hour you can be out on the water (www.mount-batten-centre.com) , or up on the moors (www.dartmoor-npa.gov.uk). The new vision for Plymouth’s waterfront embraces a mixed use principle, with people living over the top of shops and offices, creating a vibrant round-the-clock city, with cafes, bars and restaurants. 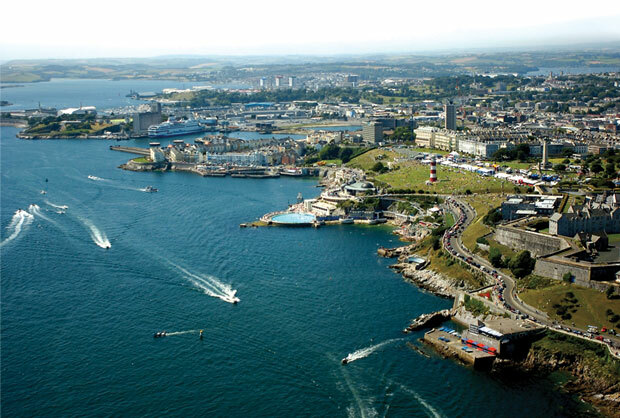 A tour, starting on the east side at Sutton Harbour with Queen Anne’s Quay and the new Fish Market, goes through the historic Barbican with its stylish restaurants and bars and along the Hoe where you’ll see the glorious Art Deco of Tinside Lido overlooked by the Citidel and Smeaton’s Tower. Plymouth is a city forged by the spirit of discovery and as you will discover for yourselves, the list of famous and heroic explorers and navigators who have begun their voyages here is long and fascinating (www.historicaladventures.co.uk).